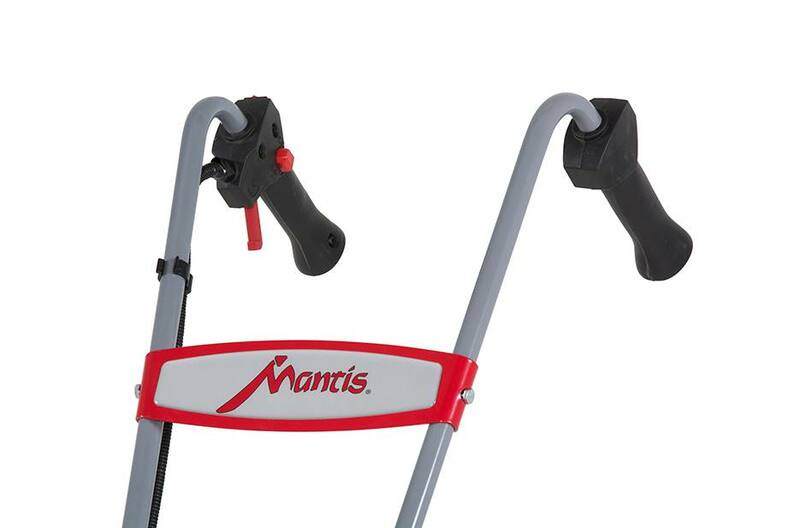 The Mantis 7228 2-Cycle Tiller/Cultivator makes gardening faster and easier than you ever dreamed possible! 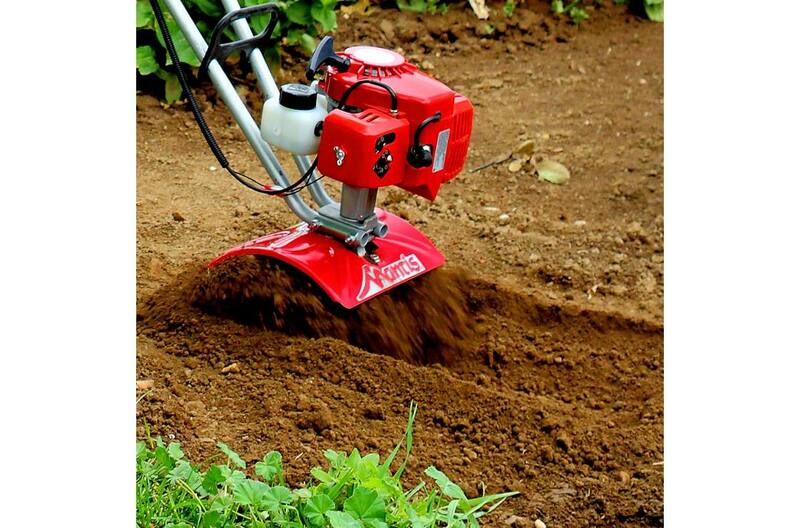 It’s the lightest tiller (only 20 lbs) but it will bust sod or dig a planting hole faster than using a shovel. Plus it can speed-weed up and down garden rows. Just flip the tines around to the cultivating position. The 2-stroke engine uses a 50:1 gas/oil mix. Ergonomic handle grips with integrated throttle control for easy speed control. Reliable Easy-Starting Engine: Commercial-grade two-cycle (gas/oil mix) engine with pushbutton priming for fast, easy starts every time. Ergonomic Handles: Ergonomic handle grips are designed for comfort. Flush-mounted throttle control lets you control the speed. Innovative Transmission Design: Turns the specially designed curvy tines for maximum performance with minimum weight. 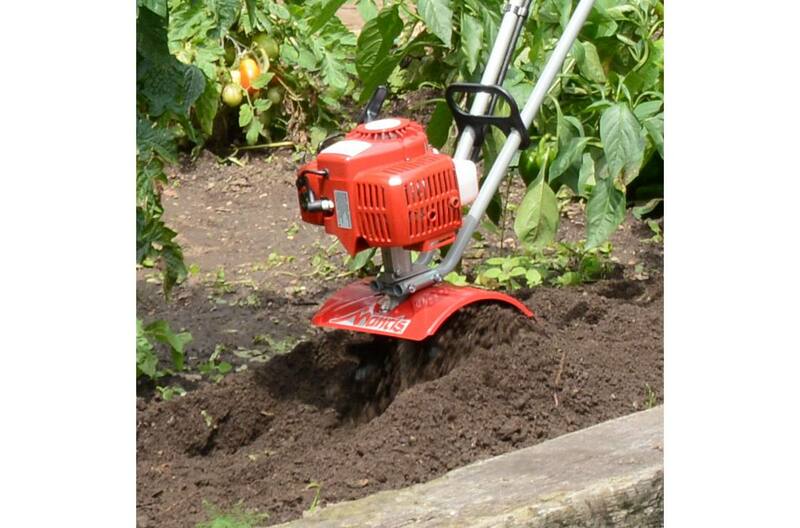 Compact Design: The Mantis 7228 Tiller/Cultivator works in tight places where bigger rototillers can’t. Weighing just 20 lbs. makes it easier to maneuver. 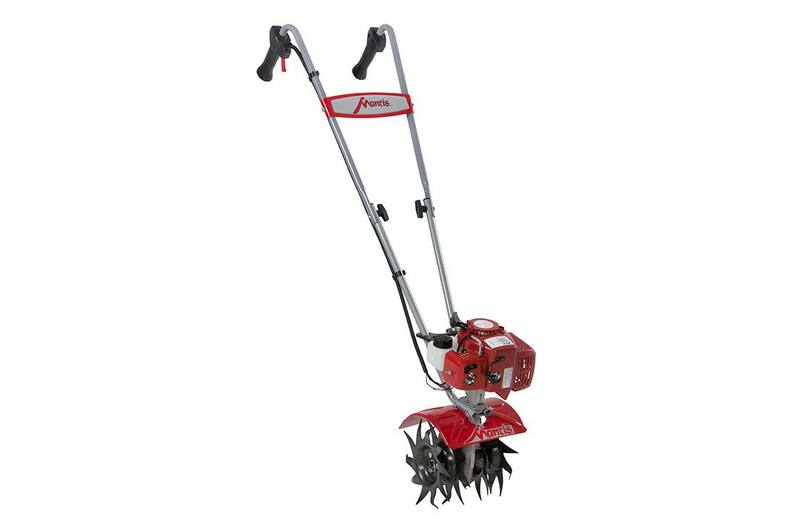 10" Tilling Depth: The 7228 Mantis Tiller/Cultivator will rototill up to 10" deep. You’ll have better soil. And better soil is the foundation of better gardening. Uniquely Designed Curvy Tines: Mantis Tillers dig deep even into the hardest soil, instead of bouncing around like other mini-tillers. Tines are guaranteed for LIFE against breakage. If one of them ever breaks, we’ll replace it for free. No matter how long you’ve owned your tiller. 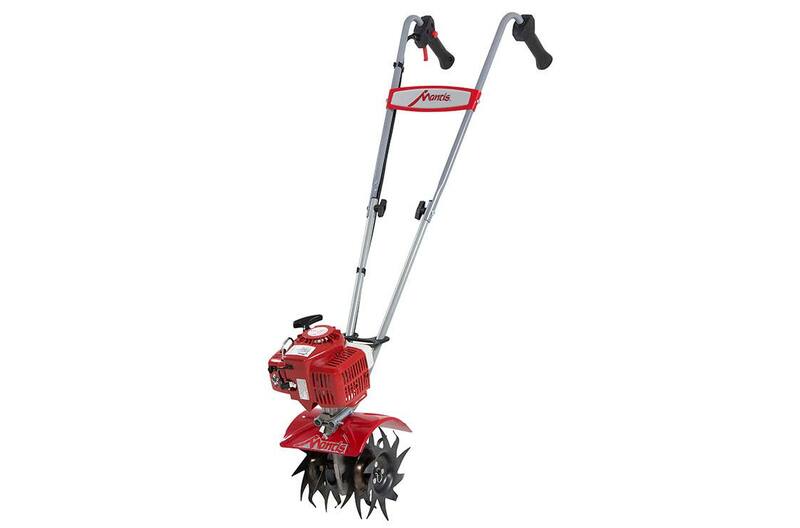 Versatile: Turn the tilling/cultivating tines around and the “tiller” becomes an exceptional power-weeder. You’ll use it all season long! 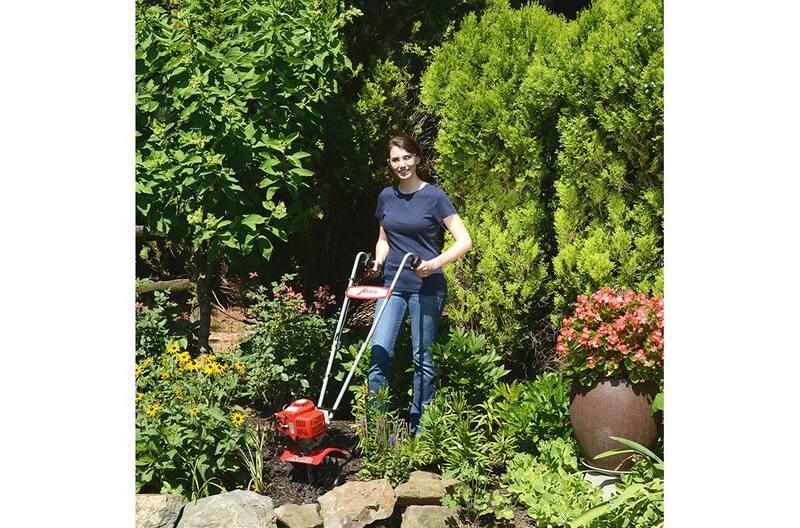 Optional garden and lawn care attachments add even more versatility. Grips: Ergonomic handle grips are designed for comfort.